With a Kickstarter campaign as ridiculously successful as Bloodstained: Ritual of the Night, it's not surprising that the $5.5 million in funding will in fact spawn multiple games. Last week, we saw a video titled "Voicing the Game", which featured quick interviews with four of the game's English voice actors. The second part of the trilogy has arrived and includes interviews with three more actors. The March update from Bloodstained: Ritual of the Night focused on two topics -- the SXSW panel and voice acting. Since we've already covered the former, today's all about the latter, with the reveal of the game's voice cast. At the recent South by Southwest festival held in Austin, Koji Igarashi spent nearly an hour talking about the upcoming Bloodstained: Ritual of the Night, including changes to one of the game's bosses and a new familiar. To celebrate the completion of the orchestra soundtrack for the game, we hear from the composers behind Bloodstained: Ritual of the Night in the Kickstarted title's most recent backer update. In the video, you'll get an extensive look at Miriam. She's wearing a hat that has not been seen before and she's firing a pistol. Iga promises more will come later this month. Work continues on the Kickstarter supported and highly anticipated IGAvania title from Koji Igarashi. The short video clip shows gameplay from one of the courtyard areas in the title. More details about one of the most anticipated games of all time, which came about from one of the most successful Kickstarters of all time and is a spiritual successor to one of the best games of all time. No pressure then. Three new characters have been revealed for Bloodstained: Ritual of the Night with artwork and details for each. IGA also returns for episode eighth of the Ask IGA series. 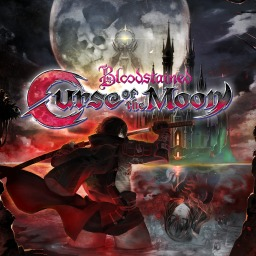 The first Bloodstained game with trophies was Bloodstained: Curse of the Moon, which was developed and published by Inti Creates and released on 24 May 2018. The next Bloodstained game scheduled for release is Bloodstained: Ritual of the Night for PlayStation 4, which has a release window of 2019.